These aspects are covered in the Barloworld 2018 Integrated Report and related disclosures. Given the nature of our businesses, which includes customer contracts in fleet services, logistics, mining, marine and construction, a relatively high percentage of the group’s revenue is annuity, or significant Business to Business based. Some 60% of the group revenues is estimated to be in this category. All businesses are appropriately leveraging technology to optimise their solutions offerings. Online business initiatives and platforms in all business units enhance the coverage, efficiency and effectiveness of our activities and shared value creation for our stakeholders. Given the nature of our businesses, technology and electronic services solutions (online / e-commerce) is playing an increasing role in all our divisions’ business models. Examples include Automotive’s Digital Disposal Solutions business which provides innovative disposal solutions which focusses on various digital channels through which vehicles are sold. Across the group some 7% of revenues during the period were from online businesses and/or platforms. The benefits of online / e-commerce include: Customer portals to facilitate seamless online transactions; online marketing and lead management for faster response and a mobile communications and social media strategy increases interactions and customer feedback. In addition to online or e-commerce, technology has a major role in the operations of the business. This includes real-time fleet management through connected assets leading to a reduction of operating costs, big data and predictive analytics, developing customer insights that drive productivity, safety and sustainability benefits and re-orientating our relationships with customers to that of a trusted partner and adviser. 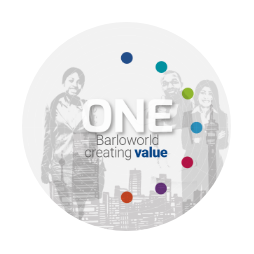 Barloworld is incorporated in South Africa under the provisions of the Companies Act, No. 71 of 2008, as amended (Companies Act). The company is listed on the Johannesburg Stock Exchange (JSE) and maintains secondary listings on London Stock Exchange (LSE) and Namibia Stock Exchange. We understand that our employees are the foundation and drivers of our success. Accordingly, one of our three strategic objectives is: Instill a high-performance culture and Talent is an area of focus in the delivery of our strategy and ambitions. Creating value through – and for – employees by attracting, developing and retaining the globally competitive people necessary to implement our strategy and meet our growth targets remains one of the group’s most vital attributes. Specific activities include talent management, developing internal resources for promotion through detailed development needs analysis per person, leadership style, performance management and remuneration, and continued focus on technical skills upliftment. *Includes permanent employees and contractors > 12 months. Excludes non-executive directors. In addition to the permanent workforce and contractors greater than 12 months, the group employed 166 people on short term/temporary contracts less than 12 months as at 30 September 2018. As reflected by the totals in the above tables, employment numbers remain largely stable and are not impacted materially by any seasonal variations. Apart for its Logistics business, the group distributes leading international brands in the earthmoving, power, automotive and agriculture industries. In this regard and to sustain long-term value creation for all stakeholders as envisaged by our Values and sustainability principles, it is important to align ourselves with a robust supply chain, responsible leading principals and Original Equipment Manufacturers (OEMs). Integral to our value chain is our commitment to being a leader in sustainable development and identifying competitive advantages through solutions that help customers achieve their sustainability objectives, facilitate a transition to lower carbon economies and expand into related opportunities. A key socio-economic driver, within the South African context, is integrating previously disadvantaged groups into the economy. Aside from our OEMs, we support and empower a range of small and medium-sized suppliers, contractors and enterprises in our supply chain, through our South African-oriented enterprise development initiatives and preferential procurement programme. We are committed to the localisation and empowerment of our supply chain where practicable, and have completed a number of supplier development interventions in South Africa. We also put increased effort on preferential procurement across all divisions and business units in order to bolster access to the Barloworld value chain for black owned and black women owned entities. Founded in 2007, Barloworld Siyakhula is Barloworld’s primary enterprise and supplier development arm, driving black economic empowerment and transformation in our South African operations. Since inception, Siyakhula has invested an accumulative spend of over some R250 million on enterprise and supplier development, indirectly sustaining over 700 jobs. Comprehensive assistance provided to over 120 SMMEs in South Africa – fostering economic growth. Barloworld represents on behalf of our principals include Caterpillar, Avis, Budget, Audi, BMW, Ford, Mazda, Mercedes-Benz, Toyota, Volkswagen and others. The group is therefore part of supply chains that are geographically globally diverse; and reflect international best practice in the manufacture, sale, service, support and disposal of products. These standards are complemented by Barloworld’s own ethics, values and standards. We are committed to working with suppliers to ensure our customers’ objectives are met and their competitive position enhanced. A number of our principals have been included on various environmental and/or sustainability related indices, further supporting their reputation as responsible leading companies. We have assessed our principals that account for some 45% of our procurement spend, for environmental, labour, human rights, bribery and corruption, and corporate citizenship risks. All principals have been assessed as low risk for each of the aspects above. However, we remain aware of the well-publicised Volkswagen and Audi emission issues which affected diesel customers internationally. We are monitoring this situation and recognize associated risks. The Volkswagen and Audi vehicles sold by us in our territory meet the local South African emissions compliance standard, and our operations have consequently not been directly impacted. The globally diverse manufacturing locations of our OEMs, mitigates economic, social and environmental risks and enhances the group’s resilience. Third party service providers and suppliers (TPSP&S) in all business divisions have been subjected to a risk assessment and due diligence process in relation to bribery and corruption. This due diligence process involves the integration of a more rigorous assessment of TPSP&S into the existing procurement processes and setting clearly defined minimum requirements. This process is now applied to new TPSP&S and is ongoing for existing TPSP&S, in accordance with the Barloworld Due Diligence policy. “We build outstanding long-term relationships with our principals, suppliers and customers. The company’s strength and longevity are the result of our ability to sustain long lasting, mutually rewarding relationships with our principals, suppliers and customers. As reflected in the group’s Value added statement, its supplier spend is some R47 783m. Diverse and leading world-class Original Equipment Manufacturers (OEMs) to ensure sustainable competitiveness through leading products and solutions, support, systems, values, governance, legitimacy and positively impact our risk profile. Localisation and empowerment of local suppliers to ensure integration of previously disadvantaged groups into the economy. We support and empower a range of small and medium-sized suppliers, contractors and enterprises in our supply chain, through our South African-oriented enterprise development initiatives and preferential procurement programme. We are committed to the localisation and empowerment of our supply chain where practicable in support of the local communities in which we operate. Alignment with the group’s Worldwide Code of Conduct to ensure legitimacy and to support our commitment to responsible corporate citizenship, shared value creation and our aspirational group targets. Barloworld Remanufacture and rebuild initiatives. A relatively high percentage of Caterpillar components are rebuilt, prolonging their life and reducing waste. In 2018, some 79% of total component sales in Equipment southern Africa related to remanufactured and rebuilt components, of which 51% related to Barloworld Equipment remanufactured parts and 49% related to Caterpillar remanufactured parts. Similarly in Equipment Russia, some 9% of total component sales related to remanufactured and rebuilt components, of which 56% related to Barloworld Equipment remanufactured parts and 44% related to Caterpillar remanufactured parts. Barloworld has invested USD11 million and R240 million in facilities in Russia and South Africa respectively. This programme benefits local communities through skills development and job creation, positively impacts our environmental footprint, benefits customers, and enhances the group’s competitiveness and ability to provide innovative customer solutions. ii. Changes in the share capital structure and other capital formation, maintenance, and alteration operations (for private sector organizations); iii. Changes in the location of suppliers, the structure of the supply chain, or relationships with suppliers, including selection and termination. The group is mindful of the precautionary principle and its related obligations. Our Code of Ethics (includes ‘Protect the environment’); our Worldwide Code of Conduct (‘We focus on environmental responsibility and preventing waste’), and structured risk management approach ensure that future risks to the public and the environment from its activities are identified and considered. Activities related to any identified risk are addressed. This applies to all group activities, including building new facilities. The group's leading principals would be mindful of this principle in developing and introducing new products. The King Report on Governance for South Africa (King IV), effective in the current financial year. Certain operations have ISO and other related certifications. See schedule of externally certified programmes and coverage.